"The people we dealt with were wonderful and helped my mother die at home which was our family's wish for her." Our number one goal is to make this stage of a patient's life, and that of their loved ones, better than if we weren't there - to act as a guide for their final journey. We find that most people can do what needs to be done if they know they won't have to do it alone. Niagara Hospice continues to serve family members after the loss of their loved one. Our goal is to be there for those who are left behind as they move through the grieving process. Our counselors are trained to do this through supportive visits, phone calls, support groups, memorial events, and mailings. 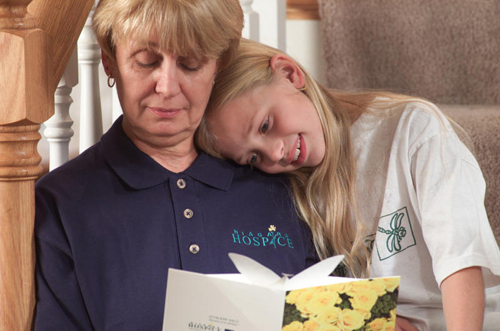 Bereavement support services begin after the death of a loved one and continue for a period of thirteen months. Additionally, Niagara Hospice provides bereavement care to address the special needs of children through an annual bereavement camp, Camp Hope.